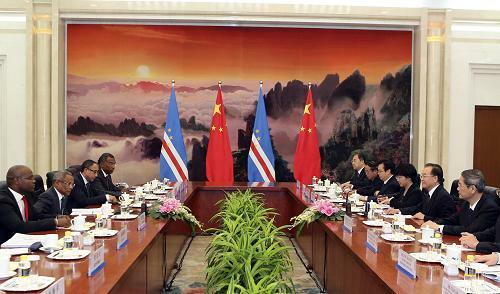 On July 18, 2012, Chinese Premier Wen Jiabao met respectively with Kenyan Prime Minister Raila Amollo Odinga and Jose Maria Pereira Neves, prime minister of Cape Verde and president of the African Party for Independence of Cape Verde, at the Great Hall of the People. 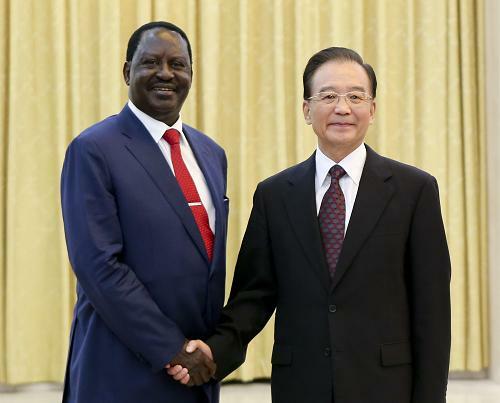 During his meeting with Odinga, Wen said that China and Kenya have enjoyed sound bilateral relations and the two sides need to further enhance mutual support, deepen mutual trust and cement friendship given the complicated international and regional situation. "China will continue to support Kenya's efforts to improve people's livelihoods and develop the economy. China is also willing to broaden cooperation in investment and service trade so as to promote comprehensive, balanced development of the two countries' economic and trade relations," Wen said. Noting that Kenya is China's important cooperation partner in Africa, Wen said China will take the fifth Ministerial Conference of the Forum on China-Africa Cooperation (FOCAC) as an opportunity to work with Kenya and other African countries to upgrade China-Africa relations under the principle of sincerity, goodwill, equality, mutual benefit and common development. 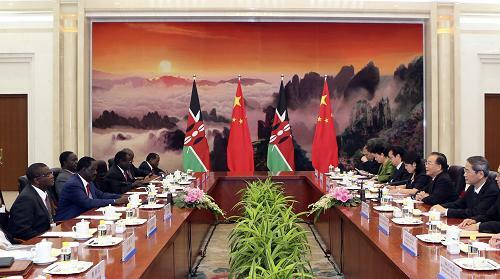 Odinga thanked China for its firm support and generous assistance to Kenya over the years. He said Kenya welcomes China's investment and is willing to broaden cooperation in energy, infrastructure construction, agriculture and tourism. Kenya is also willing to enhance coordination with China on key issues including climate change and the United Nations reform, he added. "China and Africa have enjoyed expanding cooperation since the FOCAC was established. The cooperation has promoted Africa's development as well as regional peace and stability. 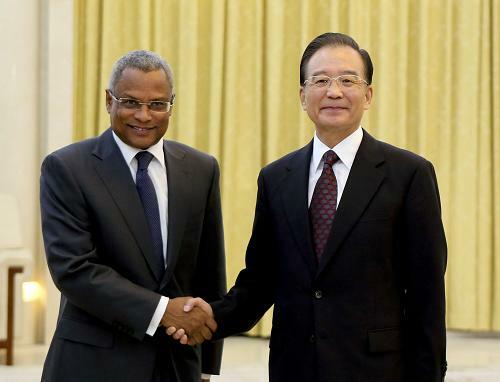 I believe this meeting will achieve positive result and promote Africa-China relations to a higher level," he said. During his meeting with Neves, Wen said the China-Cape Verde relationship is stronger than ever and is witnessing its fastest development. Wen said that along with increasing friendly exchanges at all levels, the two countries have conducted fruitful cooperation at the bilateral level and under the frameworks of the FOCAC and the Forum For Economic and Trade Cooperation between China and Portuguese-speaking Countries. Wen stressed that China is committed to injecting fresh vitality into the traditional friendship between the two sides by enhancing high-level and party exchanges, expanding cooperation in various fields, such as tourism, education, marine economy, clean energy, information technology and finance. Hailing the positive role Cape Verde has played in regards of promoting peace and security of Africa and addressing climate change through international cooperation, Wen said China is willing to strengthen coordination with Cape Verde in an effort to protect the common interests and unity of developing countries and drive further progress of global sustainable development. Neves said China, as Africa's good friend and partner, has long been giving sincere assistance to Cape Verde and other African countries, which promotes Africa's social and economic development. Neves noted that Cape Verde would like to further enhance high-level exchanges with China and push forward cooperation in a variety of areas, including tourism, aviation, information technology, fishery, infrastructures construction, human resources development, renewable energy and finance. Cape Verde is also ready to maintain close coordination with China and support each other in multilateral areas. Neves said his country will continue to play a significant role in promoting Africa-China cooperation.